to personally know all the PHP user groups Around The World – that excites me and I hope you too! >> Could you, the leader(s), tell us a bit about yourself..
My day job managing the development team at the Ed Group in Fareham. I’ve got about 11 years of experience in PHP and I still love learning more about my field. User Groups mean different things to different people. To me, a user group is a group of people with similar interests gathering to share, discuss and learn more about their field. PHP Hampshire is about what I think a user group should be – to share, discuss and learn more about PHP. We’re not strictly limited to PHP though – think of it more like PHP + other web-based technologies, but PHP is our primary focus. >> The exact place where this group resides? 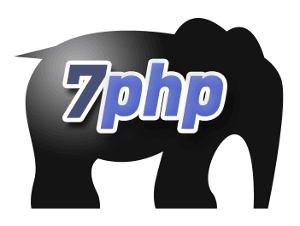 The PHP Hampshire group is based in Portsmouth, Hampshire in the United Kingdom. We aim to cover all of Hampshire, so although our meetups are currently in Portsmouth, they may not stay that way in the future. >> The web presence of this group..
Our mission is to ensure that we are sharing knowledge, helping the community and learning new things. Our very first meetup was way back on 12th March 2011. However, we had very few attendees and eventually we stopped organising meetups for several months. Richard came to me keen on starting a PHP UG in the area, so we started it back up again with more of a plan this time! >> Number of people in the group..
We’ve got 21 people on the mailing list, and we had about 15 attendees at our March meetup. Many of the attendees at the March meetup are not actually on the list. We’re still only small at the moment, but we’re steadily growing! >> Could you briefly tell us about the key people behind this group and their respective roles..
>> Could you lay down some “daily routine” or functioning of this group..
We don’t have a daily routine – our meetups could be up to 3/4 months apart, so things move pretty slowly for us – just promoting things really until a couple of weeks before a meetup, then it’s tying up any loose ends. We’ve had 14 meetups so far, although technically only a handful of those have been since we “reformed”. As mentioned, we have organiser meetups. We ensure we still know what we are trying to achieve. Then we decide what our aims for the event are – capacity, who we might like to do presentations to approach and so on. At least every quarter – we are considering hosting smaller monthly meetups. >> The average number of attendees to meetups.. I suppose over time, the average is about 5 attendees, but it’s only the last few meetups that are growing bigger. >> The highest number of attendees to meetups..
15 attendees at the last event – we are planning a bigger event in July! >> Do attendees comprise only members? No – our events are open to all, but we encourage joining the mailing list and getting involved in the group. >> How do you go about finding sponsors, what are the key aspects to successfully find sponsors? Businesses mainly – through business contacts, companies we work for. As of yet, we haven’t had sponsorship from companies where one of the organisers doesn’t have a relationship with. >> Challenges involved in finding sponsors.. I expect when we grow and need more sponsorship, we’ll find convincing businesses that it’s a good investment and great for the community. The difficulty will be finding sponsors whose vision is aligned with our own (openness, freedom, sharing and learning). >> Do you also organize conferences open to the general PHP Community? Frequency? Yes, our main events are conference style events, and they are open to anyone. I believe a Call for Papers is the event organisers openly asking the community to come and speak in an event. As of yet, we haven’t really had a CfP – speakers have approached us anyway, or we have contacted them. That even if people say they’ll come, they don’t. And that venues are very very expensive. Find an independent venue, for example social clubs, rather than hotels or conference venues. Not promoting the UG well enough in the first instance. We could’ve got the group running bigger, much sooner had we been more motivated!